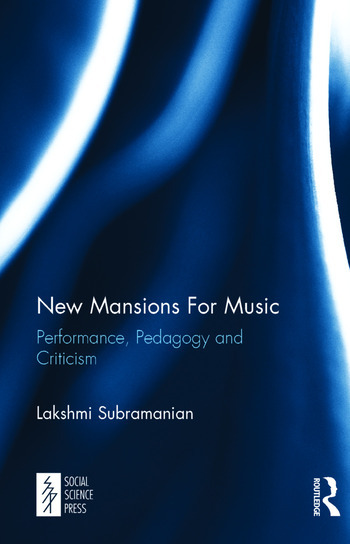 The essays in New Mansions for Music: Performance, Pedagogy and Criticism look at one of the most ancient and rigorous classical musical traditions of India, the Karnatik music system, and the kind of changes it underwent once it was relocated from traditional spaces of temples and salons to the public domain. Nineteenth-century Madras led the way in the transformation that Karnatik music underwent as it encountered the forces of modernization and standardization. This study also contributes to our understanding of the experience of modernity in India through the prism of music. The role of Madras city as patron and custodian of the performing arts, especially classical music offers an invaluable perspective on the larger processes of modernization in India. As the title suggests, the areas of classical music, which were most influenced by these developments were pedagogy or modes of musical transmission, performance conventions and criticism or music appreciation. Once the urban elite demanded the widening of the teaching of classical music, traditional modes of music instruction underwent a major change involving a breakdown of the gurushishya parampara or the tradition wherein the teacher imparted knowledge to a chosen few. Caste and kinship were important determining factors for the selection of these shishyas or students, but in modern institutions like the universities these boundaries had to be demolished. Simultaneously, the public staging of music brought the performer into a new relationship with his audience, especially as the art form became subject to validation and criticism by the newly emerging music critic. In an immensely readable book peppered with anecdotes and conversations with leading musicians and critics of the day, as well as humorous visual representations, part caricature, part satirical, the author describes a rapidly changing society and its new look in early twentieth century Madras. Lakshmi Subramanian is Professor, Department of History and Culture, Jamia Millia Islamia, New Delhi. Her earlier publications include From the Tanjore Court to the Madras Music Academy: A Social History of Music in South India, Oxford University Press, Delhi 2006.